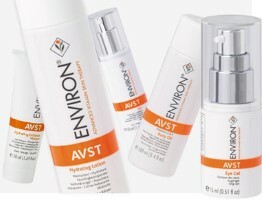 Environ products can be purchased by registered users only who are patients of our practice. Please register or log into your account to obtain pricing or purchase. The real beauty of Environ is that you do not need to alter the original regimen you began with, except to add specific intensive products as and when needed. The concept of replacing lost vitamins in the skin is always adhered to. The skin does not change the way it works merely because a person ages. This means that regimes are similar for all, except that at different ages the levels of vitamins and certain intensive products will be utilised for specific concerns. Environ's philosophy is to maintain a beautiful skin for a life time, no matter what your age, skin tone or gender may be. We all age from birth onwards and our skin follows the same pattern. Thankfully there is a great deal one can do to maintain the appearance of a beautiful skin. According to Dr. Desmond Fernandes, starting at a very early age and learning to maintain and nurture one of the greatest assets every person has, makes perfect scientific sense. Choosing the correct skin care routine for your age is crucial to maintaining beautiful skin throughout your life and well into your mature years.